Well I have card for you it's not come out IRL how it was in my head but I'm pleased with it all the same. I set myself a challenge to make a card woth out an image EEeeeekkkkkkkk and then told a friend who said she had every faith in me that I could do it, so I couldn't let her down could I ?? 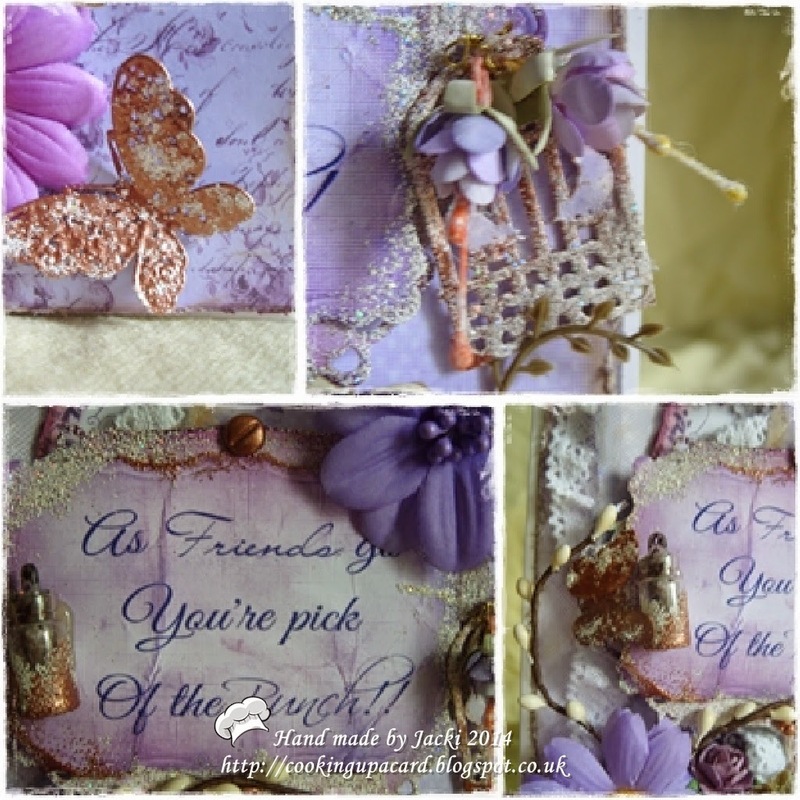 I generated the sentiment on my PC using a mix of fonts cut out with spellbinders label die scrunched it up and inked with a mix of the purple DI then using versa mark ink dabbed it here and there then added some embossing powder and set it with heat tool. I then cut a mat out for the sentiment and did the same with that, I got 2 nail brads that where silver in colour covered those with emaossing powder and set that to make them look copper looking. The bottle I used here is one that I got from a £ shope it had nail caviar in and as I have a few of them I have put the contents in a larger pot so thought I would put them to some use I inked the bottle and dipped it in the embossing powder (now I hadn't got a clue if this would work and was half expecting the bottle to shatter with the heat of gun) but I'm really pleased with the look of it I had to ink the plastic stopper to make it look older and not so plasticy (is that a word lol) anyway I also made a sentiment to go in here too. Hi Jacki. Love the new blog and the hairstyle. It really suits you - quite the femme fatale!! Your card is very different from your usual style but it's gorgeous. Very busy and almost mysterious but it works brilliantly. Hope you're keeping well. 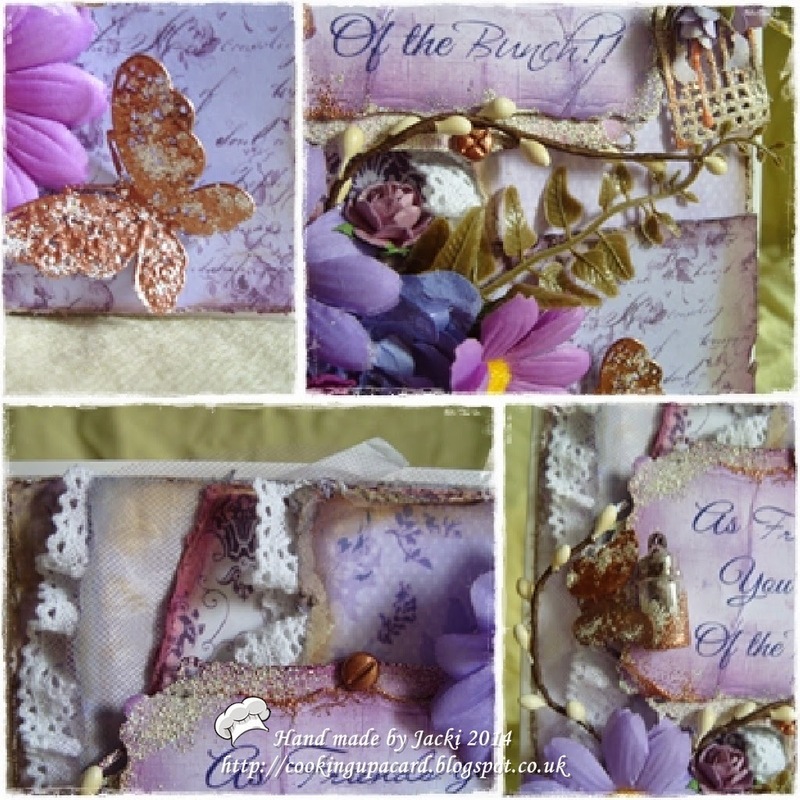 fabulous card, thank you for sharing with us over at a girl who crafts. 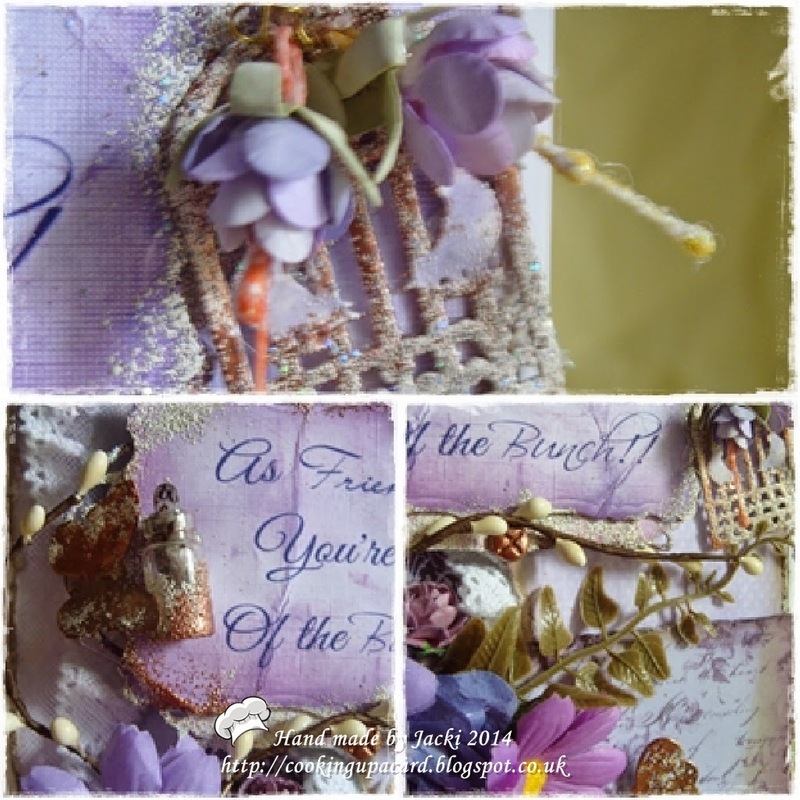 You did it Jacki - you did a card without an image and it is really beautiful. You should be so proud because everything about it is gorgeous - I love it!!! Well done you!! Beautiful card Jacki, love the tiny bottle and all gorgeous flowers. Lovely card, illustrating the words so well. Thanks so much for playing along with us at Country View Challenges.